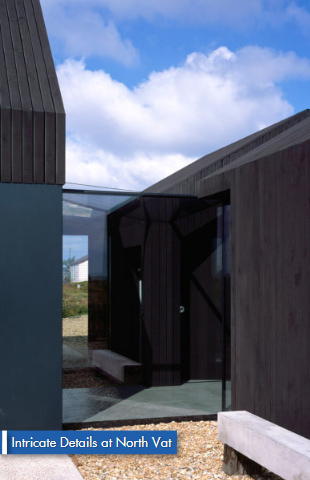 Meridian provided a solution for this unique design and build project in Dungeness. 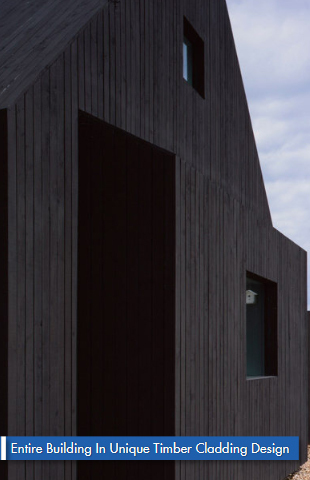 This existing fisherman's cottage was conceived as a 'cluster' of small shed-like structures, referential to the local vernacular of pitched roof huts, scattered along the beach front. There were many challenges with the design, for example, how was the roof waterproofing to be completed whilst facilitating the attachment of subsequent cladding panels to achieve the required aesthetic? Meridian used the DANOSA Danofix IFP, which facilitates the attachment of any subsequent furniture without compromising the waterproofing integrity. Once the main roof waterproofing had been completed, the Danofix IFP were fastened through the waterproofing back to the structure, providing the subsequent trades with 2nr M10 bolt holes to attach their cladding rails and subsequent finishes. Secret gutters and in-plane roof windows also formed part of the design, which required careful consideration with our Technical team as they intersected with key ventilation points within the design which had to be accommodated. This project was the Winner of the RIBA South East Regional Awards 2016, Longlist of the RIBA House of the Year 2016 and was shortlisted for the Manser Medal 2016.